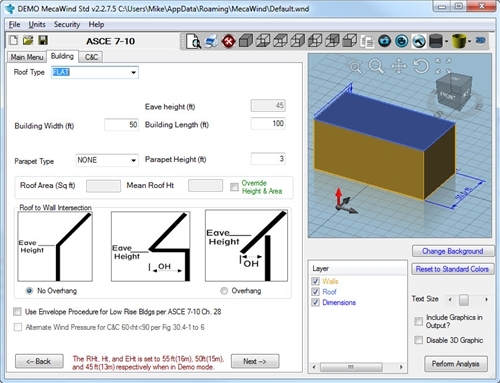 MecaWind is a cost effective program used by Engineers and designers to perform Wind calculations per ASCE 7-10 and ASCE 7-16. 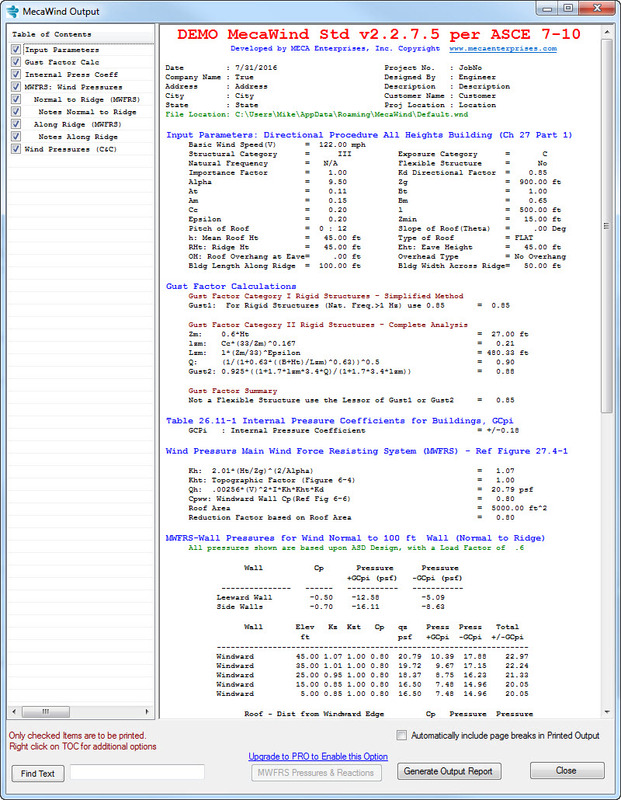 The program is simple to use, and offers a professional looking output with all necessary wind calculations. The user also has a great deal of conrol at their fingertips to customize their output to suit their needs. Youtube Videos of MecaWind (these are of MecaWind PRO). Not all features available in MecaWind.